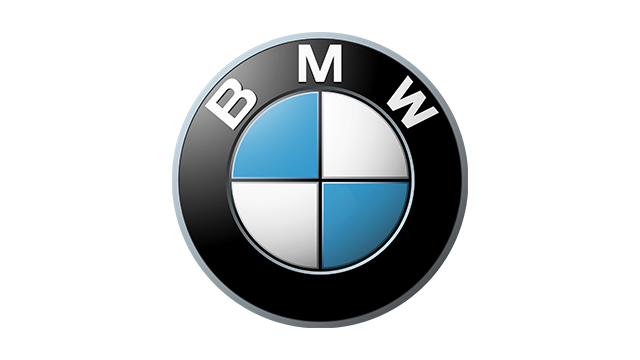 The mundane day-to-day riding realities of Filipino riders mean that most of us spend majority of our time driving between smoke belching buses and wayward jeepneys, an exercise not suitable for the taller, wider and chunkier bikes which BMW Motorrad is known for. Thankfully then, the German brand heard our pleas and has released the BMW G310R. A roadster of a bike, the G310R is BMW’s smallest bike in ages, and the first sub-500cc bike it has released since time immemorial. How then does this baby Bimmer stack up against the rigors of the daily commute? We gave it a shot and found out. The BMW G310R looks bigger than its spec sheet tells us. It has a nice, squat look, and angled headlights that make it seem like it’s ready to pounce on anyone stupid enough to get in its way. The paint scheme is amazingly retro. 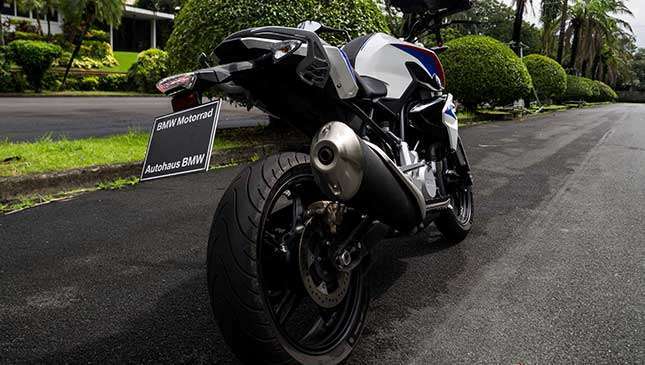 With BMW’s classic red and blue on a white canvas, the bike wears its colors and its heritage on its sleeves. The gold-colored inverted forks further give it that upscale feel, and as you walk toward it you will not mistake this bike for anything else. This entire section of my review comes with a caveat: This is BMW’s smallest bike, reviewed by Moto Sapiens’ largest rider. I am 6’2” and around 200+ pounds, so imagine my surprise when I sat on the G310R and it didn’t feel cramped. Granted, I look like a gorilla sitting on a pocket rocket, but looks aside, the bike felt big while I straddled her between my legs. The pegs had a pretty good reach and I never felt too cramped on the bike. The dash was legible and had an awesome electronic display that showed a gear shift indicator. The grips, handles and levers all felt like BMW parts taken from its more expensive stablemates. In typical German style, they were extremely precise, had little to no play and were some of the best and most tactile switchgear I have ever tried. 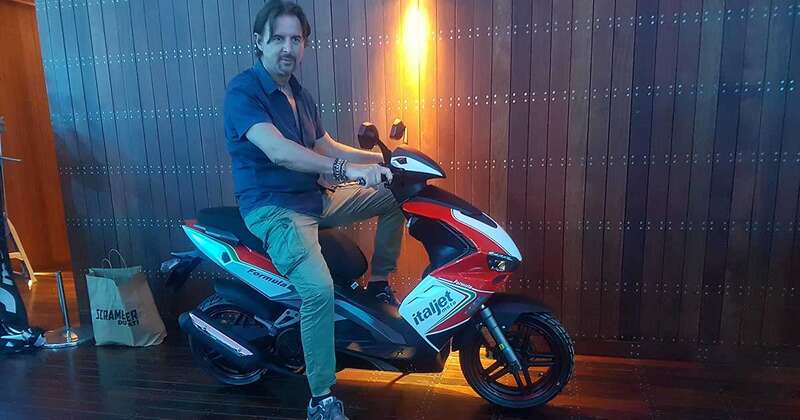 The G310R comes with a zippy 313cc single-cylinder engine. 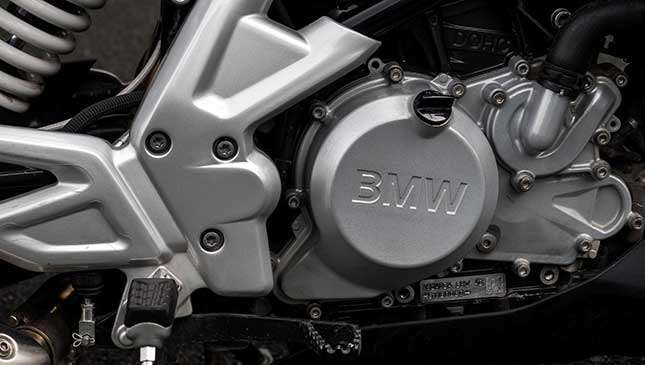 It is the smallest motorcycle engine that BMW has made since the end of World War II. It starts up with a whimper and sounds like a sewing machine until you rev it out past the 7,000rpm mark. 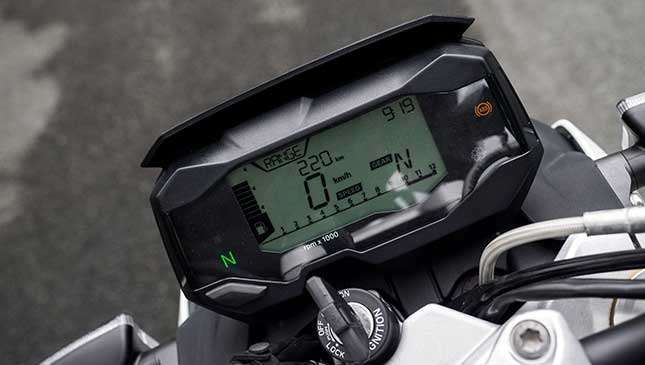 From 7,000rpm though, the character of the bike’s sound changes, and what was a whisper of an exhaust note turns into a legitimate snarl all the way to its 12,500-13,000rpm red line, when the precise 6-speed gearbox allows you to row through the gears at full clip. With me alone on the bike, the acceleration was adequate. But with a passenger (around 330lbs on total weight), the 158kg G310R seems to make more noise than speed as it reached 84kph at 3rd gear. Then again that’s a completely overloaded bike. With only myself to worry about, the little 34hp single-cylinder powerplant let me keep up with traffic at a pace that always put a smile on my face. The bike handled city traffic with aplomb. The bars were narrow enough to squeeze through the tightest of gaps and the steering was sharp enough that the BMW could sneak through traffic at a pace that would be impossible for bigger bikes. 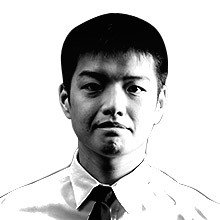 At speed, the BMW had a precise turn in that reflected its roadster looks and while leaned over, the bike retained its composure even when facing the pockmarked surface that we call EDSA. The bike comes with standard ABS and the aforementioned gear indicator. 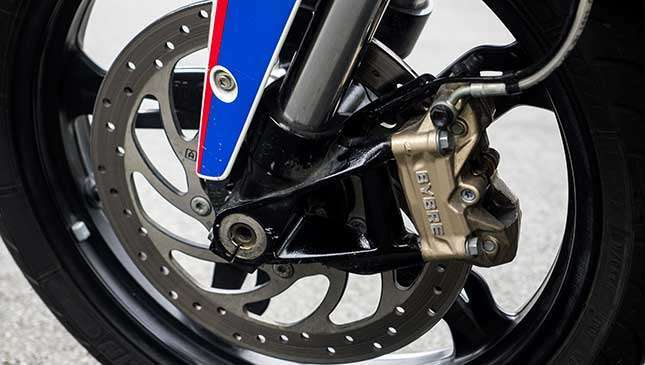 Both features are generally unheard off in bikes this small, and are a welcome addition that helps newer riders get to grips with riding, while keeping them safe in the event of emergencies. 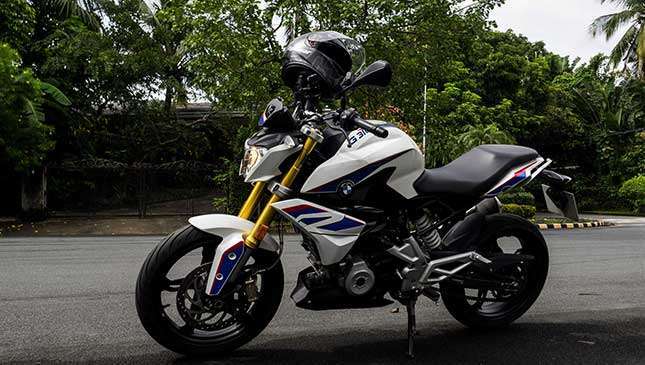 The BMW G310R is a sub-400cc street bike and is therefore not highway legal. That means that you will not be able to take it on the expressway. That's not a problem because this bike is at home in the city, and more important, on b-roads where the bike’s small dimensions and agility shine most. 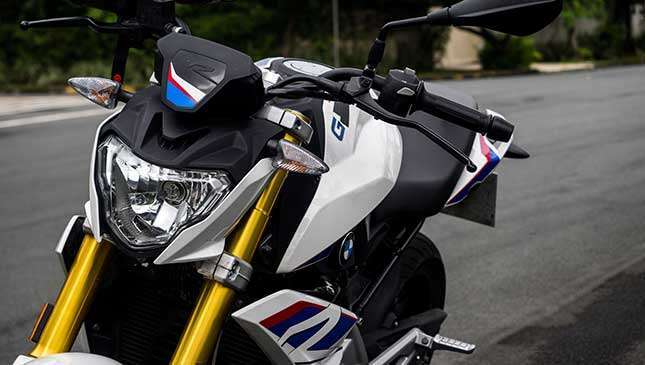 For smaller riders, beginner riders, or for those who would use the G310R primarily as a city commuter, the baby Bimmer provides a gateway drug into the world of BMW Motorrad. It feels and rides just how a proper BMW should, and that's despite my size and the awkward glances thrown my way because I looked like on a teensy bike. It was a blast to ride.